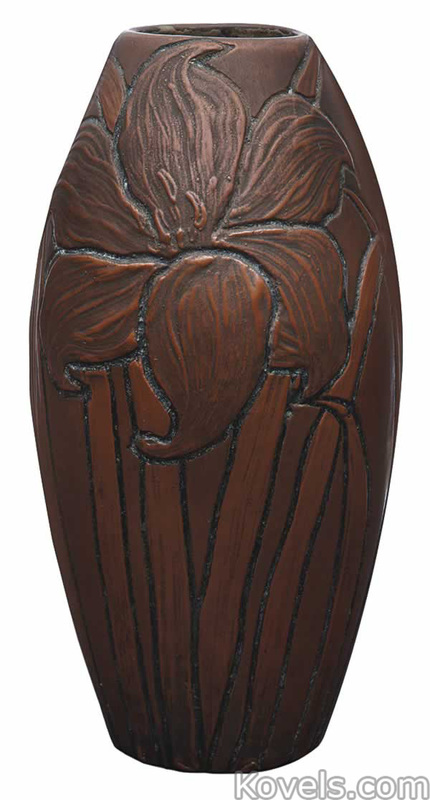 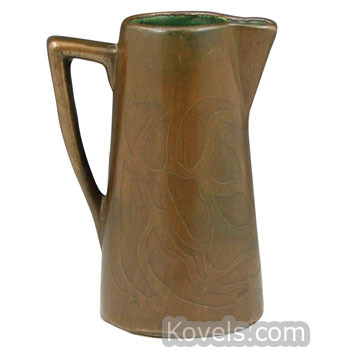 Clewell was made in limited quantities by Charles Walter Clewell of Canton, Ohio, from 1902 to 1955. 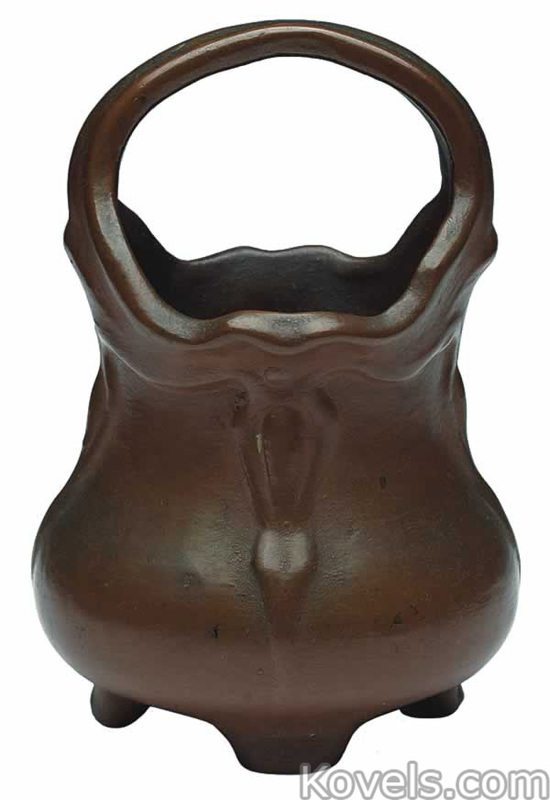 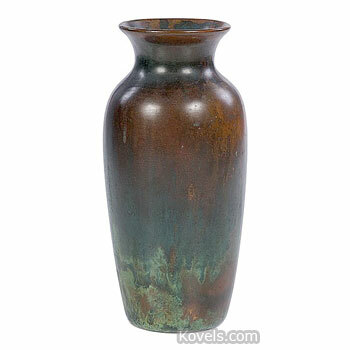 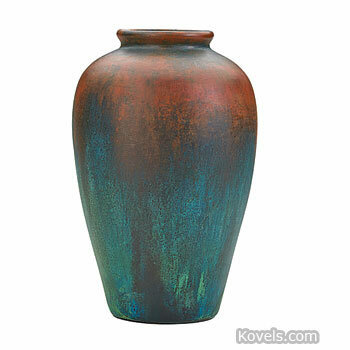 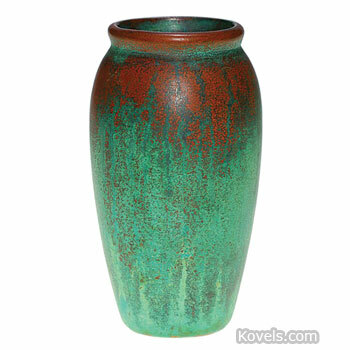 Pottery was covered with a thin coating of bronze, then treated to make the bronze turn different colors. 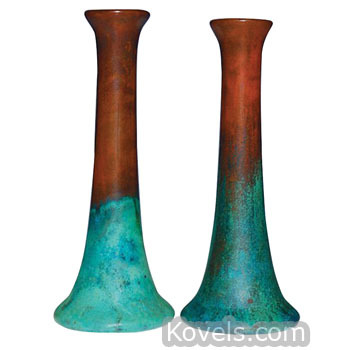 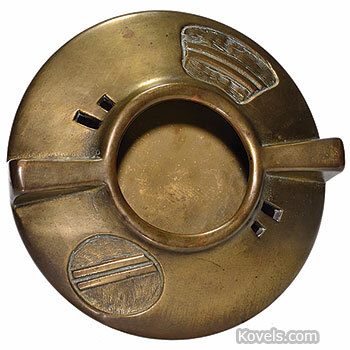 Pieces covered with copper, brass, or silver were also made. 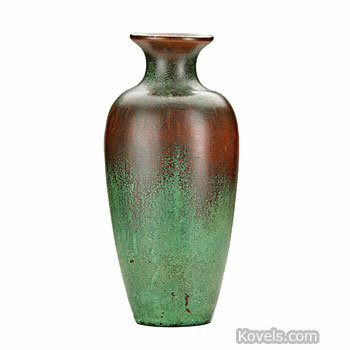 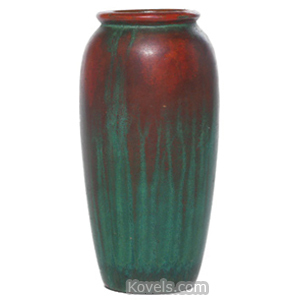 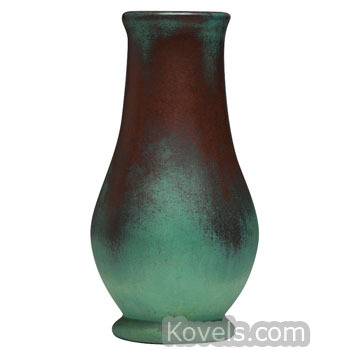 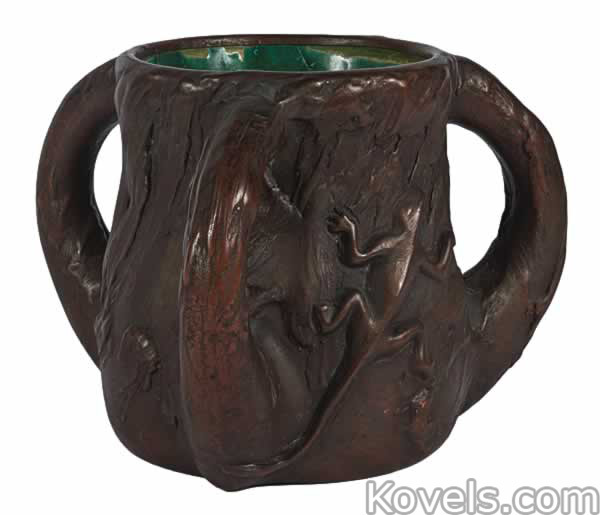 Mr. Clewell developed a blue-green bronze finish in 1923. 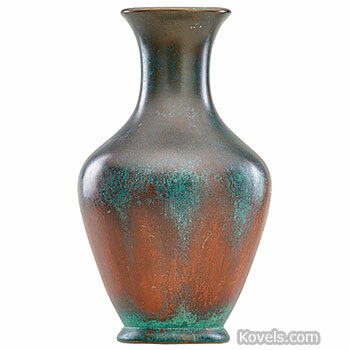 Clewell's secret formula for blue patinated bronze was burned when he died in 1965.